AN EARTHY, ALL-ACOUSTIC ENSEMBLE can be both refreshing and deeply affecting… and, indeed, Tom Challenger’s Brass Mask octet reaches right out and grabs you by the ears, heart and soul. With debut album, ‘Spy Boy’, this creative powerhouse delivers a distinctively venturous 13-track programme of exuberant (and, at times, emotional) strength. Formed only last year, the standout grouping of horns and percussion offers intense, brash, rhythmic grooves as well as infectious, improvisational joy and freedom, drawing on a variety of influences such as the carnival atmospheres of Mardi Gras/New Orleans street bands, as well as Deep South spirituals/hymns and South African township music. Sax, clarinet, trumpet, trombone, tuba, drum and percussion pyrotechny is provided by current London jazz luminaries George Crowley, Dan Nicholls, Rory Simmons, Alex Bonney, John Blease, and Nathaniel and Theon Cross. Challenger, primarily as a tenorist, is already a big name on the contemporary jazz scene (Dice Factory, Outhouse, Fofoulah), and here he magically weaves together a tapestry of imaginative self-penned compositions and brilliantly leftfield arrangements of traditional tunes, resulting in a blaze of colour (Dan Nicholls’ sleeve art interpreting this well!). As well as the thrilling invention of the writing, Challenger clearly relies on the skill, intuition and pluckiness of his colleagues – and how it pays off. Take, for example, Francis P, a short, rebellious number which encapsulates the raw abandon of this eight-piece; sax and trumpet sections blasting a strong unison line over irreverent tuba and deliberate clattering drums, tenor breaking off to improvise grittily. Thank You Jesus immediately appeals with its slow, hard, bluesy edge. The lazy, swaggering, discordant Indian Red possesses a similarly charismatic gospel feel, seemingly taking to the street and then ending in glorious up-tempo celebration – irresistible! And the first of these three traditional tunes, Shallow Water, displays the band’s trademark bold unison melodies and effective overlapping of parts. Rain, Rain, Rain dances lightly before increasingly building its strength and complexity, the impudent, crunchy tenor and trombone solos here a dream. The deep tuba, trombone, bass clarinet and percussion rhythm of Wizards provides a superbly mysterious ground for saxes, trumpets and clarinets to blend as well as fly improvisationally – and with razor-sharp brass stabs and high trumpet lines above escalating heavy drums, this proves to be nine and a half minutes of creative excellence. The foreboding of closely-meshed reeds in Israfil is made all the more intense by an incessant cymbal rhythm which then menacingly stops short of the conclusion, creating a tangible tension; and from a similarly troubled opening, Don’t Stand Up becomes impressively driven by rapid bongo-led percussion, pacey instrumental soloing and the occasional, characteristic tuba (“whOOh!”) outburst! 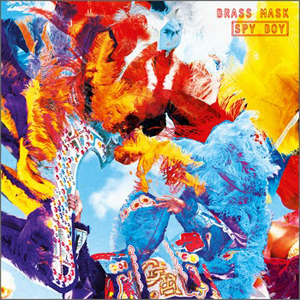 Brass Mask play tightly, as one, yet also enjoy what appears to be considerable free reign – the entire album maintaining a spirit which, once you are ‘in’, is so incredibly satisfying. This is certainly ‘jazz out of the comfort zone’ and, for that reason, hugely exhilarating. But hearing is believing – check out the excitement at Bandcamp. 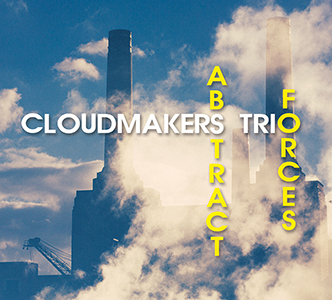 Released on Babel Label, 14 October 2013.